The Apartments Mira are especially good for groups because because they have separate entrances for all apartments is possible to have control especially against children and adolescents and lock the front door in apartmants, Especially convenience is a big kitchen and a room for eating and gathering where the common table, you can eat and hang out of the room to eat možrte also go out to a large terrace with a beautiful view of the sea, the dates and Zadar and Zadar islands and on the terrace is a large table where you can eat, sit and hang out. In addition to the terrace on the first floor to the second is similar to the balconies. In ground floor is one bedroom with balcony , it is room with bathroom and double bed. and separate entrance. 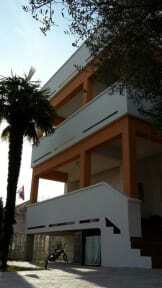 Parking is free, transfer from and back airport Zadar or bus station is free. We love travelling and have created an environment to suit all travellers so you can better enjoy your stay in Zadar. We will also be happy to show you the town personally and give advice you on how best to spend your time. The Apartments offers a big garden for you to relax in after a log day of signtseeing. Other facilities include; parking, bed sheets, linen and towels are provided in all rooms and the and bathrooms with 24 hours hot water available. We also have security lockers, reading lights and internet access. 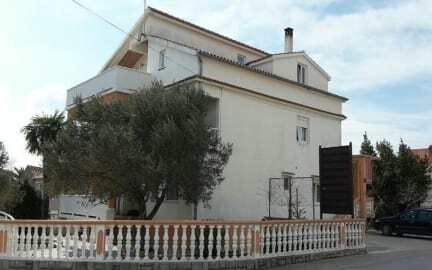 Apartmani Mira are situated in center of Bibinje which is only 6 km south-east of Zadar on Adriatic coast. Zadar is one of the oldest and most beautiful town on Adriatic coast. Restaurants and bars are very near the house and you can walk everywhere in about 5 min. If you like night life there are also cocktail bars on the beach where most young people like to go out. Cancellation Policy: 2 days, late cancellations and no shows will be charged the amount of the first night.